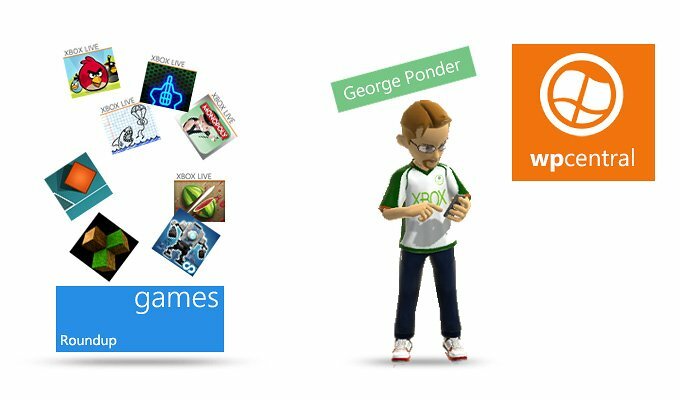 When it comes to gaming on your Windows Phones, puzzle games are great options to help you pass the time. In this week's roundup we'll take a look at five of the top rated puzzle games that call upon your skills of evaluation, strategy and observation. These are Windows Phone games that if you don't get things just right, you're doomed from the start. Most are challenging, entertaining ways to pass the time with. We pulled five titles from the best rated puzzle games in the Windows Phone Store. Treasures of Montezuma (trial/$.99): Treasures of Montezuma is a puzzle game that has little bit of influence from Bejeweled in its game play but there's enough differences to make Treasures of Montezuma an entertaining, challenging game. 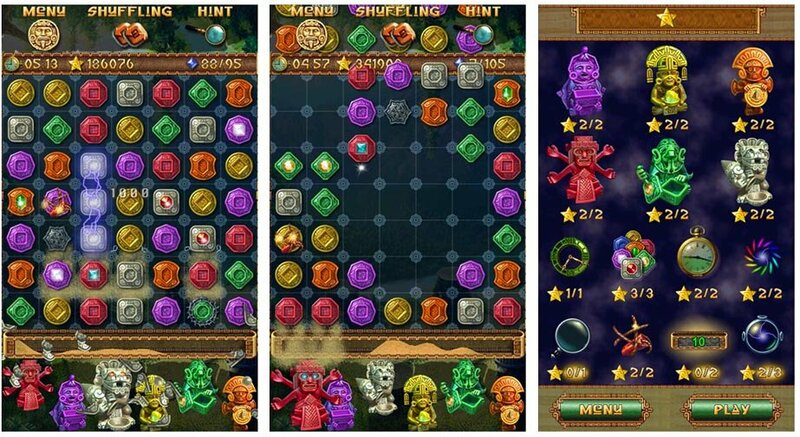 Treasures of Montezuma has three game modes, Endless, Arcade and Quest. The Quest mode has forty-one levels of play. Game play is done by swapping gaming tokens to align three or more of the same tokens. When you do, the tokens explode and you earn points. Some of these tokens have gems on them and when they explode, you collect these gems. To advance to the next level, you'll have to collect a set number of gems within a time limit. If you run out of moves, a new game board is generated but the race against the timer won't slow down. In between levels you can activate up to seven power totems to help you conquer these puzzles. There is a free trial version of the Treasures of Montezuma with the full version running $.99. You can find Treasures of Montezuma here at the Windows Phone Store. Blocked In Free (free): Blocked In Free is a fun puzzle game where you have to shift blocks around to move the red block through the exit and off screen. You move the blocks methodically to free a path to allow the red block to exit the screen. You just need to remember that you can move the red block around to free up space to move the other blocks around. Blocked In Free has six hundred unique puzzles, three themes and two game modes. Game modes include Challenge Mode where you try to complete the puzzle in the fewest moves possible and the Relax Mode where you play at your own leisure. Blocked In Free is a fun game for all ages and is an ad-supported, free game. 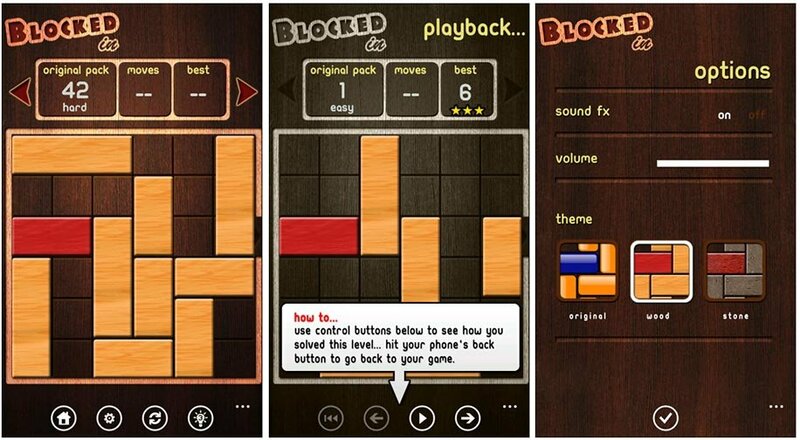 You can find Blocked In Free here at the Windows Phone Store. If you don't want the adds, there's Blocked In that is running $1.99 and you can find that version here at the Windows Phone Store. 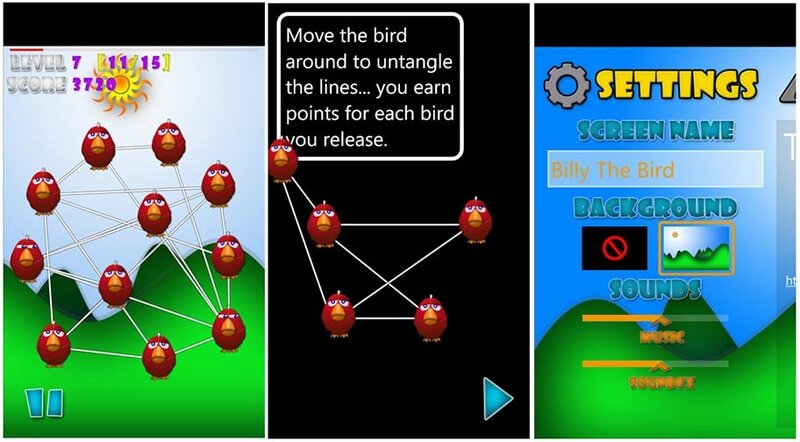 Tangled Birds (free): The birds have gotten tangled in a mess of twine and it's your job to untangle them so they can fly off with the Windows Phone game Tangled Birds. You need to reposition the birds where the lines connecting them no longer cross. When you do, they fly away. Bonus points are earned for releasing multiple birds at once and there are two gaming levels (easy and hard). Game play takes a little time to get used to but eventually you get the hang of things. Tangled Birds is a fun, puzzle game for your Windows Phone. It's free, ad-supported and you can find it here at the Windows Phone Store. Chicks 'n Vixens (trial/$.99): Chicks 'n Vixens has been around since the early days. We watched the game's development from the beta stages to almost becoming an Xbox Live title. While Chicks 'n Vixens may be an old timer, it still an enjoyable game for your Windows Phone. The Angry Birds styled game has you taking out foxes who have taken up refuge in various wooden, glass, and stone structures. You take the foxes out by shooting chickens from canons. There are a handful of different chickens you can shoot (explosive, turbo boosted, and egg dropping styled). The game has multiple levels that progressively become more challenging that span five worlds. The puzzle action comes into play because if you don't attack the structures just right, the foxes will survive. Chicks 'n Vixens is currently running $.99 and you can find Chicks 'n Vixens here at the Windows Phone Store. You can also find the free version, Chicks 'n Vixens: No Donuts, here at the Windows Phone Store. 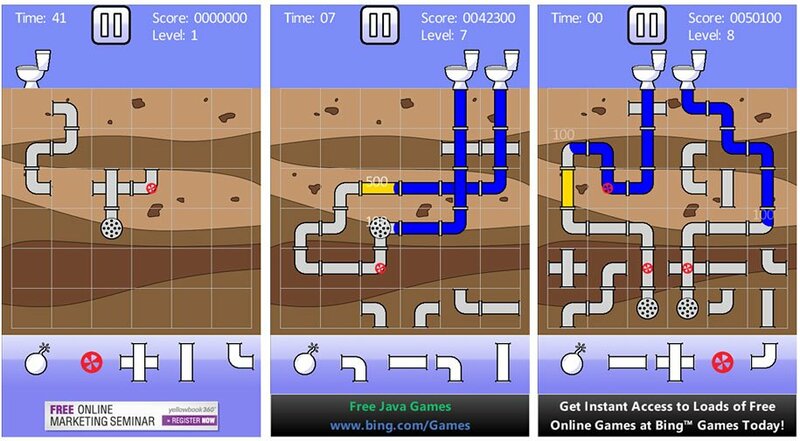 Flush (free): Flush is a puzzle game where you have to try your hand at plumbing. Toilets have been installed but the plumbing is incomplete. Your job, connect the commode to the drain. You'll have sixty seconds to complete the task and then someone decides to flush. If the water spills into the ground game over. A series of pipe segments are available at the bottom of the screen that you can drag into place to complete the drainage system. Water can't flow up hill so you also have red pumps to install to help with the flow. Any segment you don't need will have to be moved to the gaming board to make room for new pieces. Make a mistake? Drag the bomb over the segment you want to delete. As you use pieces, more sections of pipe move into play. If you complete the connection before time runs out, tap the toilet to get the flush. The more segments used, the more points earned. Flush is a fun game but it would be nice to be able to rotate pipe sections but that might make the game too easy. Flush is a free game and not a bad choice of games to help you pass the time with. You can find Flush here at the Windows Phone Store. There are countless more puzzle styled games over at the Windows Phone Store such as Bejeweled, Flow, Sudoku, Minesweeper, Spider Jack, Cut the Rope, and ilomilo. This is just a small sampling of the best rated puzzle games for your Windows Phone. These games are entertaining, challenging and a nice way to pass the time. If we've missed your favorite puzzle game feel free to toss it out in the comments.